It should be obvious that I’m devastated and disturbed anytime I hear a news story about parents or caregivers killing disabled people, but what disturbs me more than the stories themselves is that news reporters and commenters on social media justify these murders. Apparently the financial, emotional, and physical strains caring for a disabled person brings justifies killing them. Apparently death puts a disabled person “out of their misery.” On the contrary, disabled people are human beings. 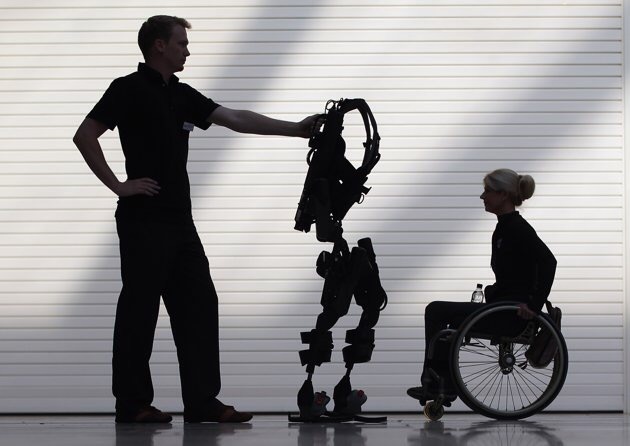 Their lives have value, and provide a kind of diversity that is not seen amongst their able-bodied peers. They see the world from a different perspective (i.e. 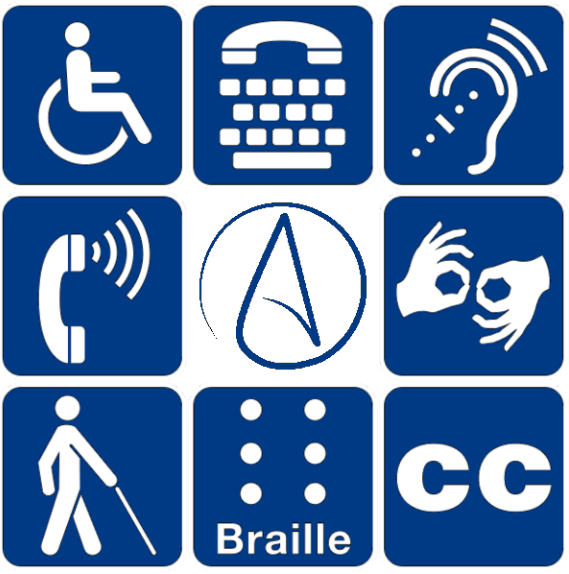 physically from a wheelchair or through other senses if the person is blind and emotionally from having to navigate a largely inaccessible world that is too often ignorant of disabilities). Killing disabled people is murder, but it is also a hate crime, as prejudice is the cause. Ernest and Heather Franklin murdered their disabled son, and subsequently set their house on fire in order to convey that he had died by accident as a result of his disability. Similarly, Bonnie Liltz murdered her daughter because Liltz had health issues and could no longer take care of her child. The courts sentenced Liltz to a mere four years in prison. It is appalling to hear that able-bodied people see death as the best option for people who cannot live independently. It is appalling to hear that someone’s life is less valuable because of something he cannot control. 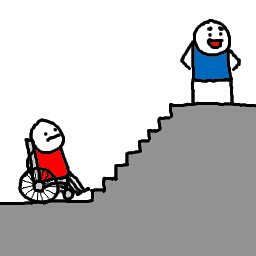 Disabled people do not choose their abilities, they do not choose to require assistance for daily tasks, and most of them do not wish to be murdered by the people who are supposed to care for them. Unfortunately, violence against the disabled is still rarely discussed, but when it is, the ableist perspective overwhelmingly shouts that death is better than living with a disability. As a disabled person, I can attest that living with my disability poses challenges and sometimes comes with additional financial expenses (e.g. personal care assistants), but I am one of the “lucky ones.” I am in college and I have two supportive parents, my mental faculties are not impaired by my disability, and my sister wants to work with disabled people, however, people like me need to stand up for people who are not as fortunate. We must speak for the voiceless. 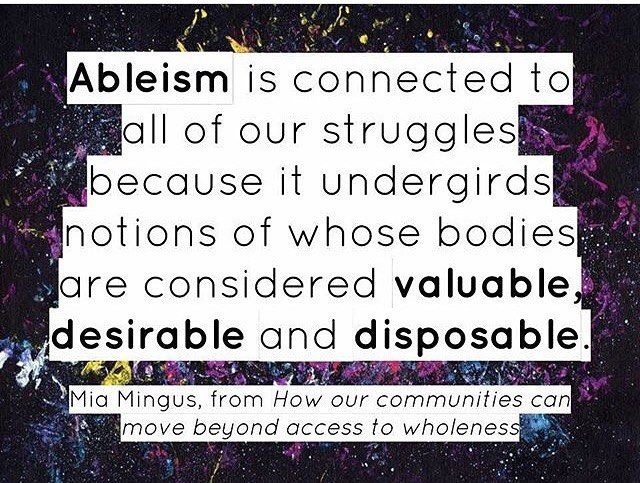 Ableism will not stop until we realize that all disabled people’s lives have value–whether a person can speak, walk, see, hear, or learn.